Disney has just released a wide variety of their CG animated classics on Blu-ray 3D, including the much anticipated 'Toy Story' titles that 3D enthusiasts everywhere have been waiting for. So we thought we'd commemorate the occasion with a complete ranking of Pixar's illustrious filmography, going from worst to first. Pixar has had an overwhelming amount of success. Compared to other movie studios they've put out the most consistent line of quality films since 1995. They simply know how to tell meaningful stories, with colorful characters, set against a backdrop of stunning, jaw-dropping CGI animation that truly revolutionized animated filmmaking. Now you've got to understand that picking through the line-up of Pixar movies and ranking them accordingly from worst to first is one of the hardest lists I've ever had to create, mostly because trying to rank them is akin to trying to rank your own kids according to how much you love them. There's only one Pixar movie I really hate, which I guess makes it the red-headed step-child of the family. The rest, however, are separated by only a few percentage points. The one Pixar movie that I could completely do without. So much so, I won't even be adding it to my collection. That's how much I loathed this movie. It was high time that Pixar released a stinker – they've been too good for too long – and boy did this one have quite the stench, namely the Odor of Larry the Cable Guy. It's almost as if the brains at Pixar had just had enough and decided that this movie was going to coast along, relying on the fact that it was going to sell gobs of merchandise. I hate to think John Lasseter and crew mailed it in, but that's what it felt like here. It was so bad in fact that you couldn't say, "Well, even Pixar's worst is better than most other studio's best." It simply didn't live up to the lofty expectations that the studio has set for itself. 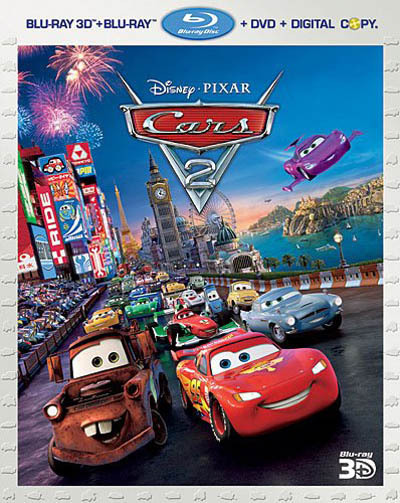 The entire movie evened out to around 70 minutes of Larry the Cable Guy delivering animated stand-up comedy, while the rest of the movie was padded with familiar 'Cars' jokes and a few guest appearances from Lightning McQueen. Yes, the star of the franchise took a backseat during this movie. It's not that he made the greatest character in the first place, but 'The Mater Show' was a painful experience all around. Over the years 'Cars' has become less and less entertaining to me. It always seemed like the Pixar franchise that was created more to sell toys than to be a good movie. I can still get through the first 'Cars' without disliking it too much. 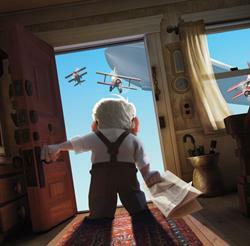 Its animation is glorious and its storyline is a light-hearted kiddie version of 'Doc Hollywood.' 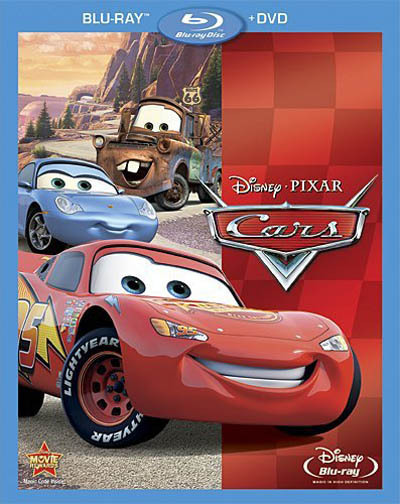 There's nothing too offensive about 'Cars' it's just that when compared to the other Pixar movies I doesn't really seem to stand up in quality. It's one of the few Pixar movies that can be used over and over as an electronic babysitter for the kids, but it will likely end up boring adults after they've seen it a few too many times. Now here's where we enter a bit of a gray area. From here on out this list is extremely close. Even though their positions may seem like they're way behind number one, they're only separated by the slimmest of margins. 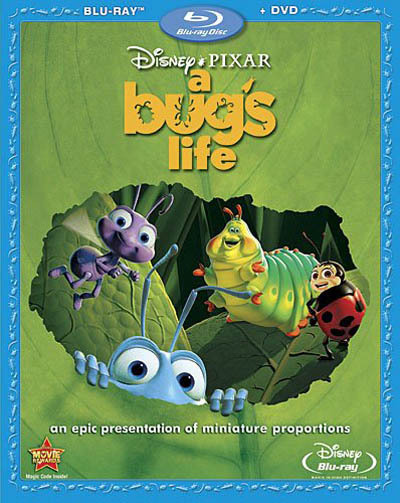 So it is with 'A Bug's Life.' A wholly entertaining film which produces its own spin on the age-old tale of 'Seven Samurai.' If there's a reason I rank this one so low, it's that it just doesn't emotionally resonate with me like most of the other Pixar films. It's a fun story, full of hilarious characters and a good helping of danger, but for me there's just a little something missing from it. That emotionally heart-tugging moment that has become a hallmark of Pixar movies. This may seem like a strange ranking for Pixar's newest 'Toy Story' film. Needless to say this has really been one of the most successful and entertaining film franchises known to man. 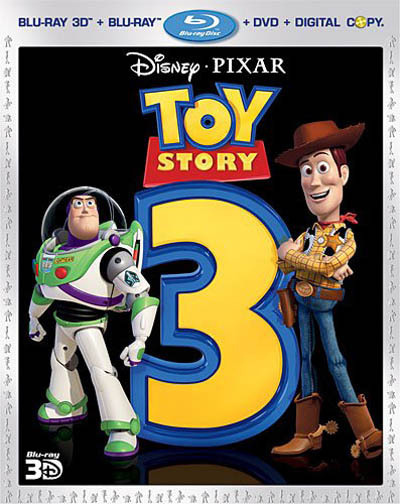 Somehow the 'Toy Story' movies have either gotten better or maintained the same quality throughout the entire trilogy. Even though I hold apprehension about the recently announced fourth 'Toy Story' movie, I must admit I felt the same anxiety about this one. Could lightning strike a third time? Was Pixar finally running out of ideas and doubling back on itself? Could they possibly pull off another quality piece of storytelling? I may have 'Toy Story 3' ranked in the ninth spot, but that doesn't mean I disliked it. Quite the opposite, I enjoyed this movie immensely. Its ending is the perfect send-off for such memorable characters. If there's one thing that causes 'Toy Story 3' to be ranked so low in my opinion it's that the story of Buzz and Woody -- frightened about Andy moving on -- seems like the exact same story they used in the second movie. Even then though, 'Toy Story 3' was able to turn it up a notch and face the toys with a real mortality question. What will happen to them when Andy finally gives them up? He's not going to keep them around forever. I honestly can't think of a real "negative" thing to say about the movie. From this point on it's almost reasonable to say we have an eight-way photo finish for first place. That's how close these movies are in my eyes. Now where's our Blu-ray release? You've got to think that the intricately constructed world of 'Nemo' is going to be one of the best demo releases out there whenever Disney decides to release it. Ah, the innovator. The movie that started it all. The film that defined a new medium in film. Who knew that CG animation would almost completely replace hand-drawn animation? After 'Toy Story' we saw a veritable revolution in animation. It completely changed the industry as we knew it. Hand-drawn animation was a thing of the past – for better or worse – CG animation was here to stay. I remember seeing previews for this movie and thinking, "Well, this is most likely going to be the first Pixar movie I dislike." 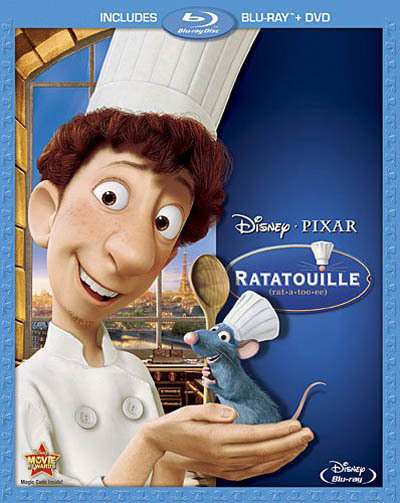 I just couldn't picture a movie about a rat who cooks in Paris being all that fun or engaging. I wondered how it would score with children who normally wouldn't be able to handle what seemed like a fairly abstract premise. This wasn't a simple a tale of toys secretly coming to life, or monsters living in closets. I was glad my initial trepidations about the movie were simply wrong. 'Ratatouille' is an altogether genius setup and execution. It whisks you along with lush animation and an intricately emotional story. Speaking of emotion, I still get teary-eyed every time Anton Ego takes that very first bite of ratatouille at the end. The way that scene is handled is masterful. One of the few sequels that I can unequivocally say is better than the first. 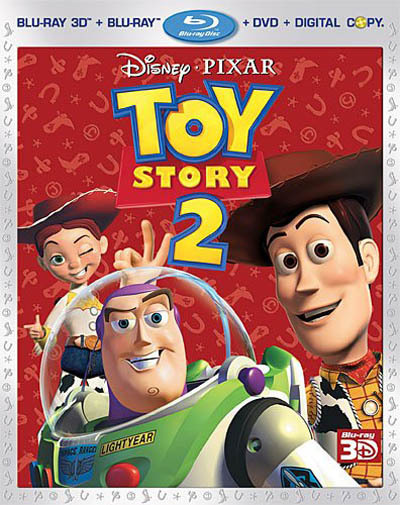 Not that 'Toy Story' is a slouch by any means, but 'Toy Story 2' is the movie that really solidified Pixar as a force to be reckoned with. The only real competitor that Pixar had was Dreamworks and the only movie they had released by this time was 'Antz.' Even though 'Shrek' came shortly after and made a boatload of money at the box office, Pixar had already put out three premium quality films and set the bar so high it would be almost impossible for other studios to live up to them. They were able to take their original story and characters that started it all, and expound on them exponentially. They seamlessly integrated new characters into the franchise which became just as loveable as the originals. They produced a storyline that was full of fun and humor, but also comprised just enough danger to keep everyone interested. 'Toy Story 2' really is one of the best movies Pixar has to offer. I remember seeing 'Monsters, Inc.' for the first time and being in awe about the direction CG animation was going. Sully's hair was something to behold. The way it moved and flowed offered a sense of realism that CG hadn't even attempted until then. It was marvelously rendered, creating something so lifelike that it simply left me stunned. 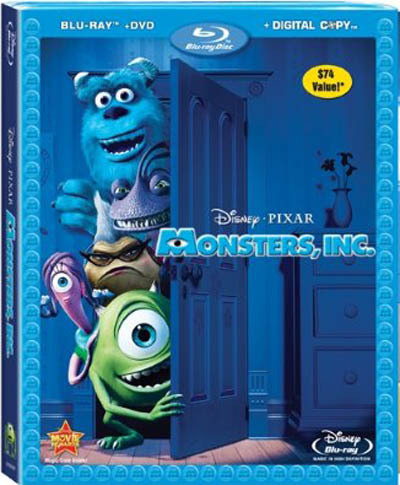 It helped that 'Monsters, Inc.' also offered a great story, featuring numerous fun asides that Pixar snuck in that make me laugh even today. Every time I watch it I notice another monster detail that may have escaped me before. The level and scope of 'Monsters, Inc.' was amazing from start to finish. 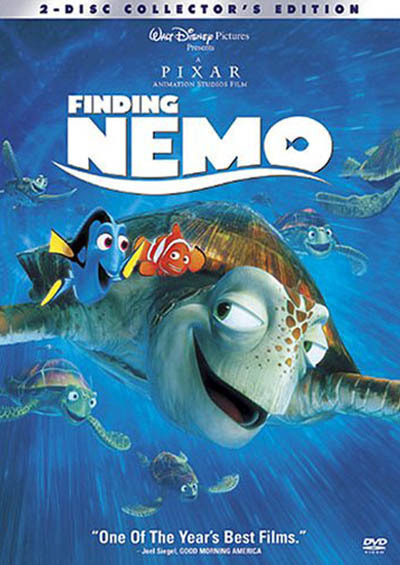 It remains one of my all-time favorite Pixar movies. That first few minutes of 'Up' are what really makes this movie for me. The rest of the film is fun, humorous and full of adventure, but that dialogue-free beginning is literally some of the most heart-wrenching cinema I've ever watched. If the last scene in 'Ratatouille' gets me teary-eyed, the first scene in 'Up' turns me into a blubbering mess. Watching Carl and Ellie meet and grow old is so sweet, so tender, that you completely forget you're supposedly watching a kids' film. Then you realize you're watching a movie made for everyone. 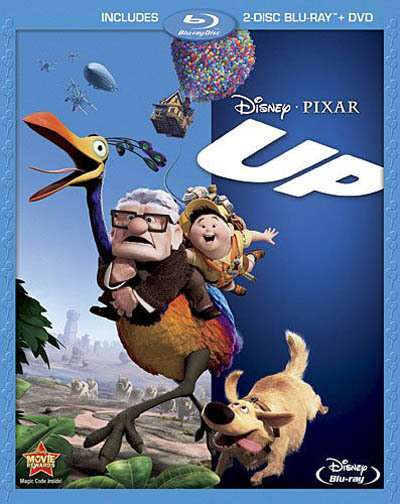 That first portion of 'Up' is tremendously skilled filmmaking. 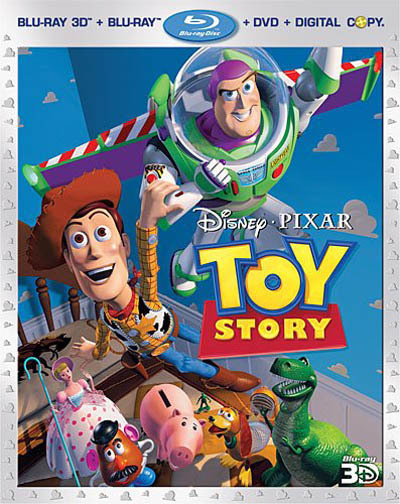 Pixar was able to create a wholly original beginning without dialogue that not only managed to keep adults engrossed in the emotional aspect of what was happening, but oddly enough, it never alienates the children in the audience. Somehow that passionately created montage of Carl's life that was walks an almost impossible tightrope of universal adoration. 'Wall-e' seemed like a monumental task really. Not since Dumbo had a feature character done so little speaking. What dialogue Wall-e did have was more electronic noises than anything. 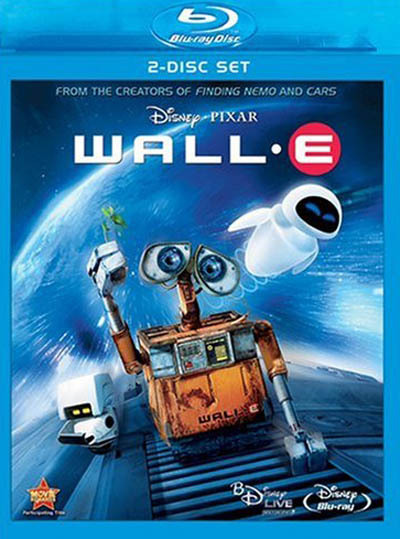 The entire crux of the movie rested on Wall-e's character design. How Pixar was able to create a loveable, relatable robot with binocular eyes I will never know. 'Wall-e's story was demonized by some commentators, saying that it was intentionally forcing a liberal agenda on the kids of the world. I disagree. It's simply a "what if?" scenario. What if earth became so wasteful we had to live on a cruise ship in space because we'd covered the world in trash? Truthfully, I thought it was brave of the guys at Pixar to portray the future of this race of humans as morbidly obese bags of flesh. In a world where shows like 'Glee' teaches teenagers that being obese is the same thing as being a different race or having a disability, the team behind 'Wall-e' was bold to take a stance on the subject that was pretty far from politically correct. In my mind that's a very commendable attribute. 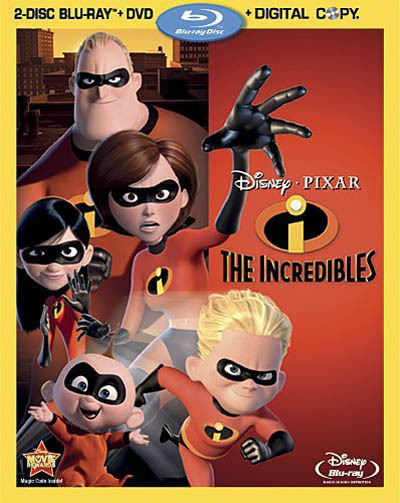 I've said it before and I'll say it again, 'The Incredibles' isn't just my favorite Pixar film, it's also one of my favorite superhero films ever made. Pixar managed to create a completely new group of superheroes who, after the movie is over, are just as memorable and likeable as superhero mainstays like Superman and Batman. 'The Incredibles' also offered a much more adult-oriented movie experience. While it was fun for the kids to ogle the superpowers, the sense of real danger and excitement is a draw for many adults. At first I was taken aback by Pixar's willingness to not only show violence, but also imply that there are people in this movie – namely Syndrome's henchmen – that actually die. There aren't any convenient ejection seats when their flying contraptions burst into balls of flame when they collide with rock walls. It seems like an odd thing to focus on, but I think it's a pretty important aspect of the movie. Not to mention the fact that 'The Incredibles' perfectly blended a superhero movie with all the best bits of the 'Bond' movies that have come throughout the past few decades. 'The Incredibles' is a thrilling ride, and for my money the best ride Pixar has to offer. Whew! That was one tough list. I know that everyone has their own opinion when it comes to ranking the Pixar movies and I look forward to checking out your lists in the forums. Follow the link below and let us all know how you'd rank Pixar's filmography from first to worst.